LET us ask ourselves forthrightly, which is the driver of human progress—total victory or reconciliation? Imagine if current flashpoints in world politics—the Israeli-Palestinian conflict, the Shia-Sunni divide, or the Syrian civil war, for instance—were to end in the total defeat of one side? The loss to human civilization would be so catastrophic that the mere thought of such a scenario should make even the most irrational actors think beyond narrowly-defined self-interests. Reconciliation, on the other hand, pushes the parties in conflict to consider not only their own interests, but also the interests of the enemy—and, beyond that, those of humanity at large. We know today that the pursuit of total victory has contributed to the disappearance of entire cultures and civilizations, at least as much as ecological disasters and depletion of resources have. The world as it is today—an “international community” governed by rules (i.e. the United Nations Charter) and principles (i.e. mutual respect, mutual understanding)—would not have developed without the spirit of reconciliation that motivated the Treaty of Westphalia in 1648, which brought an end to the Thirty Years War. The same spirit would guide Princes Metternich and Talleyrand at the Congress of Vienna in 1815 to create a new European peace in the wake of the destructive Napoleonic Wars. If the 193 states that make up today’s United Nations—what we call the “international community” in its broadest, most inclusive sense—can work together day after day to seek the common good, it is because its members are nation states, sovereign of their territory and population, as defined by the terms of Westphalia. As to Europe, without the principle of the “balance of power” painstakingly constructed at the Congress of Vienna in 1815, peace would not have generally reigned in those lands as it did for nearly a century, until the outbreak of World War I. It is clear that reconciliation is at the heart of peace. The close ties among Europe’s states today, particularly those in the European Union, would have been unimaginable without the antecedent reconciliation between France and Germany in the years following World War II—two countries that fought against each other in two of the most destructive wars in history. 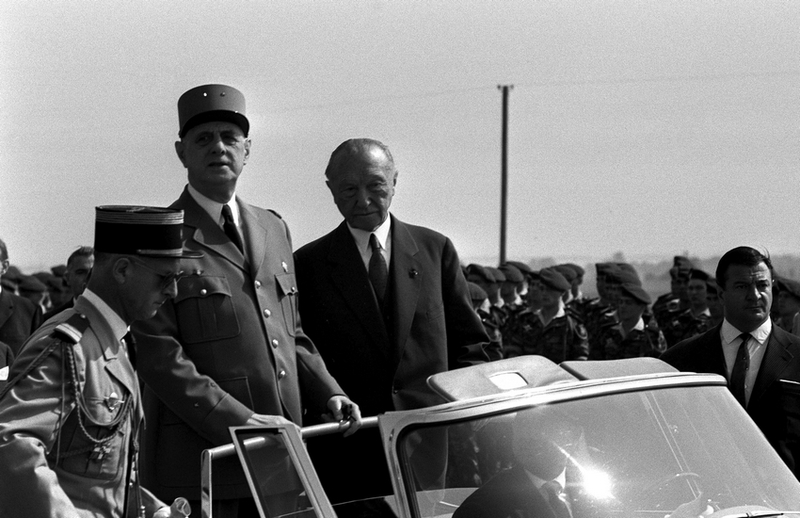 It took the great wisdom and strong moral convictions of General Charles de Gaulle and Chancellor Konrad Adenauer to offer their peoples a future that would leave behind the aggressive spirit of the past and construct a new European peace. Since then, the European project has been built from the ground up, step by step, with moral faith and political determination by politicians, intellectuals, public servants, and civil society as a whole. The current Franco-German partnership, springing from the ashes of World War II, clearly shows the international community what can be achieved if reconciliation is expertly, patiently, and sincerely applied to today’s most intractable conflicts. 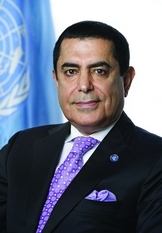 Seeking reconciliation through mediation is one of the most innovative diplomatic practices of the United Nations. On June 22nd, 2011—the day I was elected President of the sixty-sixth session of the UN General Assembly—the Assembly adopted its first resolution on mediation (Resolution 65/283). This was a landmark, and long overdue, achievement for the UN. Mediation, when successful, leads to reconciliation; and reconciliation leads to lasting peace. But reconciliation cannot happen without forgiveness. Without forgiveness—which releases the heart from the dark desire for revenge—there can be no true and lasting reconciliation, and hence no real peace. For hundreds of years, Europe lived through a continuum of wars punctuated by only brief intervals of peace until Europeans realized the futility of unsustainable “total victories” and their exacting material and moral costs. Through forgiveness, we give our enemy that part of ourselves that bears the suffering he inflicted on us, and which constitutes the hidden well of revenge from which future wars are drawn. In making such a noble sacrifice, we are in effect saying: “from now on, we shall live in peace as brothers and sisters and settle our differences amicably.” And our enemy reciprocates. And that is the true road to reconciliation. Without taking this most difficult, yet exalted, path, we are simply biding our time, preparing for the next round: updating our armaments, training more troops, spending on defense to the detriment of more compelling economic and social programs—in short, forsaking real, quantifiable national progress for the illusion of total victory. To forgive, however, is not to forget. Traveling through Europe is traveling through history, and history is what holds communities together in collective rituals, celebrations, and traditions that make a people a nation. Our history books are the stories of our nationhood, of our collective joys and sorrows; the chronicles of our journeys on a given land, or of our longing to return to a land we consider ours. A textbook, however, should never be used as a tool for incitement to hatred—for preparing the ground for new wars that only perpetuate the cycle of violence that make all of us, in the end, less human and less happy. Looking at the Middle East, the cradle of monotheism and great civilizations—yet a region that remains mired in hatred, tensions, and conflict—the need for reconciliation and forgiveness could not be more evident. Consider the Israelis and Palestinians, who persist in conflict after so many destructive yet inconclusive confrontations. What will it take to make both sides realize not only the futility of their current policies, but the long-term danger they pose to their people, the region, and the world in these times of international terrorism and nuclear proliferation? Making exclusive claims to the land, and espousing national narratives that fail to acknowledge the rights and suffering of the other side, is a road to nowhere. The region’s leaders must think of the long-term future and how it can be shaped today for the benefit of both their peoples. This long-term kind of wisdom is what moved the great Nelson Mandela to act as he did, saving South Africa from a catastrophic civil war, and making the end of Apartheid not the result of victory by one side over the other, but a moment of celebration for the entire nation. The suffering of non-white South Africans—particularly the black majority—had to be thoroughly investigated by the Truth and Reconciliation Commission, acknowledged by the white population, and forgiven by the victims for the sake of reconciliation and peace. The example set by Mandela, like the one set by de Gaulle and Adenauer, should be studied seriously by Israelis and Palestinians, and considered by leaders on both sides as a model of reconciliation and peace. This may be the last chance for both peoples before further irreparable damage is done through unwise, one-sided policies. The vision of two peoples sharing the same sacred land, living together in peace and harmony, working and producing goods and ideas for their community and the world—as Muslims, Jews, and Christians did in the times of Al-Andalus—is not an impossible dream. Israelis and Palestinians need to embrace this vision. The Middle East needs to embrace it. The international community—and indeed the world—needs to embrace it.